With an advanced degree in Number Placement, Dr. Sudoku has been performing experiments with number grids for a long time. While he won't divulge all the ingredients he puts into his sudoku solution, when this concoction is poured onto paper the results are truly unique. 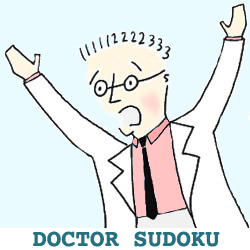 When not creating mutant sudoku puzzles, Dr. Sudoku leads the fight against the many evils of mediocre, computer-generated puzzles. 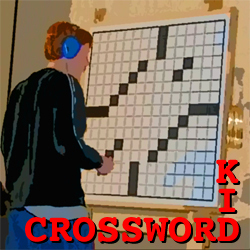 Kid Crossword, the brash youth of the group, prides himself on excelling in a pastime typically associated with retirees. Unlike most his age, he gets his kicks from racing through the English language's best cruciverbal challenges in blazing speeds. He uses his position in the League to champion consistent themes, fresh fill, and clean, clever cluing. 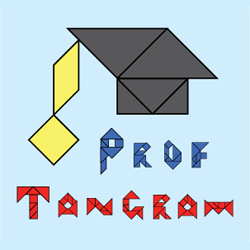 Give Professor Tangram a silhouette and he'll dissect it into smaller shapes in no time. While some might consider this ancient art out of style, Prof. Tangram is certainly no square (or triangle, or parallelogram for that matter) and is a collector and solver of countless manipulative puzzles. When not putting together pieces, he puts together puzzle championships to challenge the best logic puzzlers in the world. Born in the wilds of Canada, Solverine has represented his country for many years on the international puzzle scene. 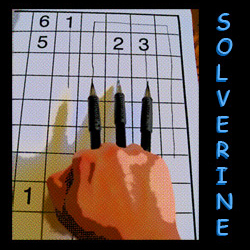 Feared for his formidable three-pronged approach to logic puzzles, Solverine can rip other puzzle types to shreds as well. Even as an observer, Solverine demonstrates his superpowers; his self-healing ability has caught many an error in data made by another League member well before real trouble could arrive. 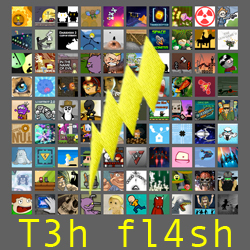 Having graduated from such PC mainstays as Minesweeper and Freecell, T3h Fl4sh has moved on to master a full range of internet games. From point-and-click adventures to puzzle shooters, from reversing time to controlling body doubles, she has unlocked a fair share of achievements. Her experiences transition well to the outside-the-box thinking often required in live-action games, but her home is still at the computer. Cube solvers know better than to cross this member of the League. 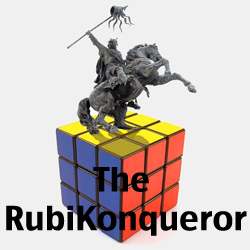 The RubiKonqueror doesn't just solve the cube, he literally destroys it. Lightning fast reflexes and well-greased joints define this puzzler who'll take on any and all challenges, from blindfolded solving to attempting the task upside-down while being tickled. 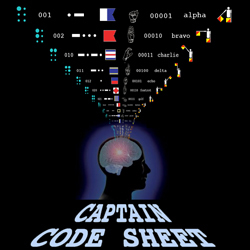 Where most would tote around pieces of paper with the possible keys needed to unlock a riddle, Captain Code Sheet has imprinted this information in his mind. His instant recall of every coding scheme is unmatched on the field. Within nanoseconds, two top dots, three dashes, an extended index finger, and a repeating sound becomes just another uncovered code for him. With so many possible messages out there, so much data to absorb and process, Captain Code Sheet's ability to separate signal from noise is essential for surviving the range of challenges faced by the League. Perhaps the most useless member of the League at the start of an event, Meta Man begins with only the most basic skills needed to maneuver through the difficult challenges ahead. But Meta Man picks his battles well and does what he can. By mastering the ins and outs of every conquered puzzle, he acquires more and more new powers of deduction. 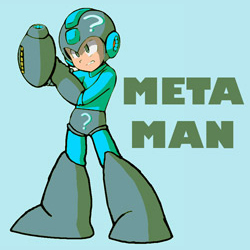 When the final challenge arrives, there is nothing too wily for Meta Man to shoot his way through with his arsenal of answers.